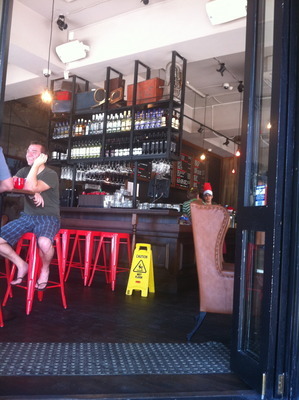 A great hot chocolate is served at Coco Cubano, Taylor Square, Darlinghurst. This cafe is just perfect for a quality pit stop along this side of Oxford Street as you head closer towards the city from Paddington. You will get to see many people passing through, heading towards Moore Park, and that does make way for some very interesting characters on this side of town. This establishment is designed for coffee or a hot chocolate only, maybe a cake to share. On this occasion I just went for the hot chocolate. Great flavours and the milk texture is just right. Although the service can be quite slow, the ambience is the clear winner here. Great to have coffee alone, or with a small group of people. 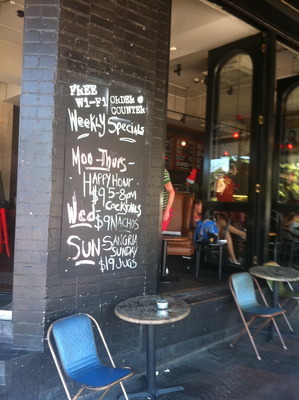 This establishment is worth coming to once in a while to be appreciated. 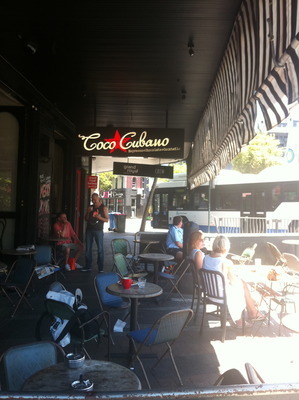 If you like Sydney's cafe society, you will like Coco Cubano. Why? Great hot chocolate with great ambience.